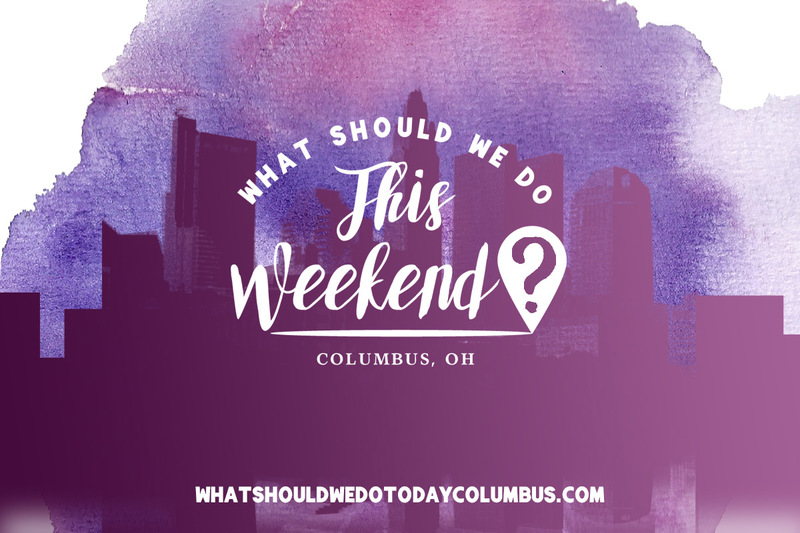 weekend in columbus Archives | What Should We Do Today? Made LOCAL Marketplace is taking over The Shops at Worthington Place in a 9 day Maker Takeover!! All of the storefronts in the mall will be OPEN and filled with locally made items. Over the weekend there will be meet and greets with Moana, Sleeping Beauty, Elmo, Anna, Elsa, Micky and Minion! Check the link for details and times! During Farm Days at COSI kids can climb tractors, milk COSI’s fiberglass cow, learn about farming and growing food and try out the pedal tractor course. Included with membership or admission. The 2017 All Ohio Balloon Fest includes live entertainment, kid’s activities, helicopter rides, sky jumping and lots of hot air balloons! General admission is $10, kids 12 and under are free! Special area for kids, KIDZ City, is $10 for all you can jump! See all the ticket info at the link above! This free Summer Music Series will be held on the grounds of Franklin Park Conservatory and Botanical Gardens for three outdoor live concerts. Pre-concert children’s activities start at 7:00 PM including an Orchestra Scavenger Hunt, crafts, activities and making music! Concerts start at 8:00 PM. Head down to Columbus Commons for a fun morning that includes free carousel rides, bounce houses, the Imagination Playground, crafts, games and more! This week’s guests include OSU Urban Arts Space, Hashtag Comedy, Lowe’s Home Improvement, Goldfish Swim School, Pretty Princess Parties and Columbus Zoo and Aquarium with an animal display starting at 11:00 AM. This week’s KidX theme is an Island Beach Party! There will be a visit from the Polynesian Princess, a limbo contest and the opportunity to make your own grass skirt! KidX Summer Series will be at the fountain in the outdoor part of the mall. Rain location will be inside at the play area. Bring a book to donate to Columbus Metropolitan Library and you can pick a prize from the treasure chest! Food Trucks this week include Rooster’s Wings, Sunnyside Tacos and Graeter’s Ice Cream and there will be a special appearance from Brutus Buckeye! Food trucks will be donating 10% of their proceeds to RMHC! This family-friendly event includes live performances and music, a scavenger hunt, art displays, an art fair and more! Tickets are $5 for this performance of The Jungle Book at Columbus Performing Arts Center! Eat ice cream and make an air plant terrarium! Kids and adults are welcome to do this activity! See the link to register online! Watch the movie Moana at the park, south of the Thompson South Shelter! Bring a chair or blanket and snacks. SNO-OH will be selling snowballs! KidsFest includes Touch-A-Truck, Cops & Kids and a Back to School Festival that includes school supplies, activities for kids, animals, food, freebies and more! The Shred-It truck will also be on site to shred your documents! Donations of non-perishable food items or money will be accepted for Groveport Madison Human Needs. The Peach Fest at Lynd Fruit Farm will include watercolor classes, The Bug Lady, therapy dogs, face painting and balloons for kids, free wagon and barrel train rides, live music, food trucks and more! This celebration of local businesses includes live music, Empanadas and More, a gift basket giveaway and the Grand Opening of ME and the MOON, a new children’s resale shop! Take in a family friendly jazz concert in the park! This weekend features Liz Woolley Band. Start with a story time inside the Main Library at 11:00 AM, concert is at 12:00 PM and then follow up with a craft from 1:00 PM – 2:00 PM. Bring a picnic and/or blanket for this free event! This celebration of Latin American culture includes live music, dancing, free health screenings, artist showcase, and kids activities including a balloon artist, COSI, making Mexican flowers, mascots from Columbus sports teams and a creation station. Superhero Day includes games, your favorite characters (including Batman, Spiderman, Wonder Woman and more), activities for kids including face painting, making your own masks, lightsaber demonstrations and live music by Mousetrap! Meet the Ambassador Animals and enjoy an ice cream treat! $5/person, age 5 and under are free! See more about Ohio Wildlife Center here. This free family-friendly concert celebrates Back to School with music by the Greater Columbus Community Orchestra, Kids Drama Camp participants and more! Need more? 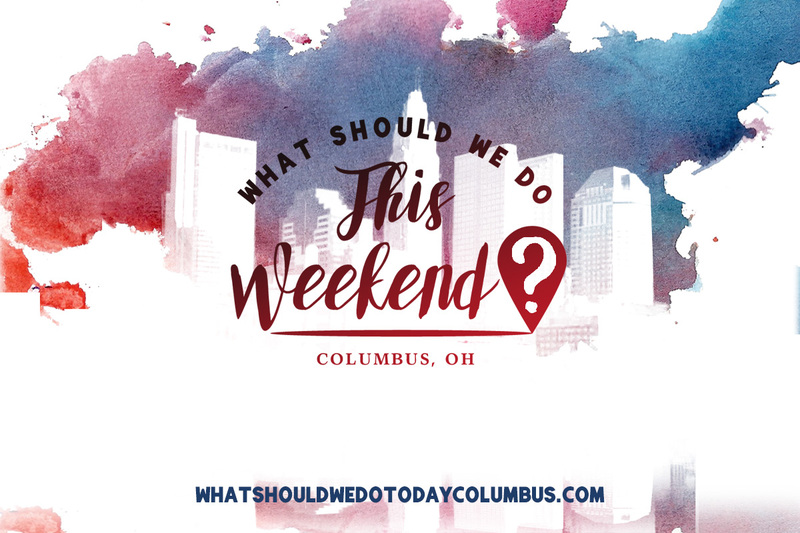 Make sure to check out Summer Nights in Columbus: Something to do Every Night of the Week! 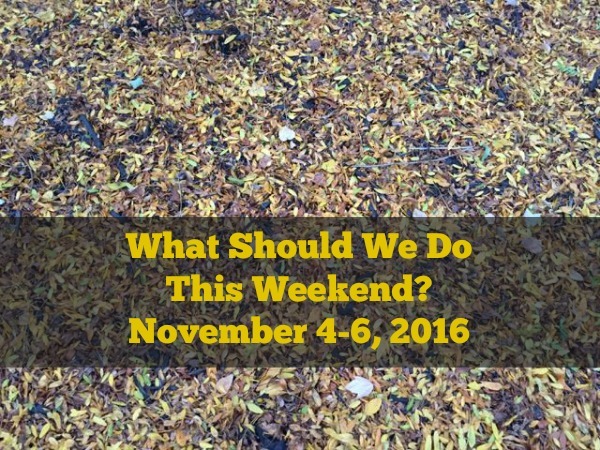 Want to sponsor What Should We Do This Weekend? Click here! It must be summer because there are SO MANY events this weekend! I’ve also updated all of my Days of the Week pages on the blog to include lots of recurring summer events like concerts, movies and more! Use the MENU to navigate to a specific day of the week for all the details! And, as always, thanks for reading! Happy Weekend! Thursday: Buy one scoop, get one free, Friday: $3 large shakes, Saturday: First 67 people get a free single scoop, Sunday: Specialty pints $3.99. (See the link for the entire schedule!) All weekend long there will be children’s activities including visits from Scoops, Johnson’s mascot! Dublin location only! Sign up for this FREE class to kick off the summer session of Squats and Tots where you can exercise WITH your kids! Also, Jenni from Whole Kids Pediatrics will take you around the neighborhood for her class Stretch and Stroll. See the link for details about what to bring and how to register! The Grand Opening of the new Children’s Play Area at the Mall at Tuttle Crossing will include a ribbon cutting, face painting, a balloon artist, a street magician, an opening statement from a Dublin Chamber of Commerce member and more! Make sure to read my post for all the details about the new play area! The first Commons for Kids of the summer is this Friday! The carousel and bounce houses are free as well as all the usual crafts and games! This week there will be a visit from Butler Donut Trail and they will be giving away FREE donuts! There will be a donut-themed craft with OSU Urban Arts Space, music from Columbus Folk Music Society and lots more! At this free event, kids can explore police cars, fire trucks, ambulances, tractors, backhoes and more! Bring a non-perishable food to donate to Marysville Food Pantry! This is a free children’s concert on the Worthington Village Green by The Shazzbots! Sock Hop Soda Shop will be there for treats and/or you can pack your own picnic! AHA!, the Georgian Museum, Ohio Glass Museum and Glassblowing Studio, Sherman House Museum & Decorative Arts Center of Ohio are participating in a Walk-A-Bout in Lancaster on First Friday! Each location will have kid-friendly activities like art projects, a scavenger hunt, bubbles and more! Join The Works for the offical groundbreaking for the newest addition to The Works – a SciDome planetarium slated to open in Summer 2018. There will be an evening of space and science activities, including rocket building and the movie, Muppets from Space, beginning at 8 PM. You can also take photos with characters from Star Wars! See the link for the schedule of activities! This event is free and open to the public! There will be all kinds of trucks to touch including a helicopter! There will also be free car seat checks at this free event! WOSU is launching a new, free children’s TV channel called WOSU Kids this Saturday! Celebrate by getting your photo with your favorite PBS KIDS character and checking out the new WOSU exhibit! Beginning June 3, participants of all ages can sign up for the annual Summer Reading Club at all Columbus Metropolitan Library locations! On Saturday at 10:00 AM, the celebration will include activities, games, music and food! You can also sign up for the Summer Reading Club online! There will be family-friendly fun around the Fenlon Square Fountain including caricature artists, face painters and balloon artists! This will happen every weekend from June 3 – August 27, 2017. This new, free, family-friendly festival celebrates freedom and equal rights through opportunities to experience the rich history of the African-American culture. There will be a KidsZone, community resources, food vendors and a walk along the Long Street Cultural Wall. Check the link for the list of live performances! Families are invited to explore all three floors of the Pizzuti Collection during this family day which also includes activity books and tours! Admission is free all day! Come to the Village Green for local musicians, family activities, games, food vendors and more!  Celebrate all that Columbus has to offer! Head back to the Village Green for a family-friendly concert on Sunday night! This event happens every Sunday night through August. This free event includes snacks and a fall craft! All ages are welcome! This story time for ages 3-5 features stories about nature! Kids ages 3 and up can drop in to do a hot cocoa mug craft. Cost is $2 per project. All ages are welcome to visit with the Bugman and some creepy crawly friends! Cruz Candy closed briefly and is now reopening on Saturday! Spin the prize wheel, cram candy in a tin for $2, and make crafts for $1! Throughout the day there will be a magic show, face painting, a sing-a-long, a visit from a princess, and more! See pictures and read about our visit here! A movie and activities will celebrate the national mammal of the United States! This is the first weekend of the month and that means Gallery Hop! Some kid-friendly things that actually happen during the afternoon include Family Days at Pizzuti Gallery (11:00 AM – 5:00 PM), where the will be Cuban-inspired coloring sheets to celebrate their newest exhibit, Cuban Forever Revisited, and Thai Rolled Ice Cream at Oats and Barley Market (from 1:00 PM – 5:00 PM)! Kids age 8-17 are welcome to come to play or learn to play chess! The Artisan Ballet Company presents an original production of a beloved classic!